We also have a range of Brokerage used boats listed. 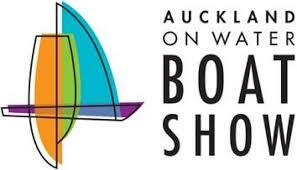 Hybrid Boats are New Zealand’s industry leaders in hybrid boat sales and service. They offer an exclusive range of top-end European boats and brands, including Greenline, Finnmaster and Cranchi. These future generation boats provide greater eco efficiency, superior comfort and innovative technology. Combining environmentally friendly production and sophisticated design, Hybrid Boats will ensure your investment will minimise the impact on the environment without compromising on the quality of your boat or your experience on the water. Hybrid Boats specialise in custom-built and production Motor Launches, Solar Hybrid Boats, and Trailerable Boats as well as brokerage of pre-owned boats. Hybrid Boats is a family-owned and operated company, helmed by Richard and Suzy Wardenberg in Auckland, New Zealand. Their dedicated team of boating specialists offer over 10 years experience, industry knowledge and international brokerage expertise, providing guaranteed best quality service throughout the entire process. Buying a boat is an important decision and we appreciate good decisions take time. That’s why from commission to customisation to handover and beyond, no time is spared. You can be assured of the most complete brokerage service from the team at Hybrid Boats. Richard and Suzy will source the boat you want and provide the backup services you need, accompanying you every step of the way. Hybrid Boats © 2019. All Rights Reserved.